– Take Highway 7 South, then exit onto Highway 6 West. – Travel Highway 6 West toward Batesville. – Exit to the right onto Chucky Mullins Drive (formally Coliseum Drive). – Go around the round-about, and take the third exit out onto Hathorn Road. You will see the softball field on the right and then the soccer field on the left. – At the bottom of the hill is a another round-about. 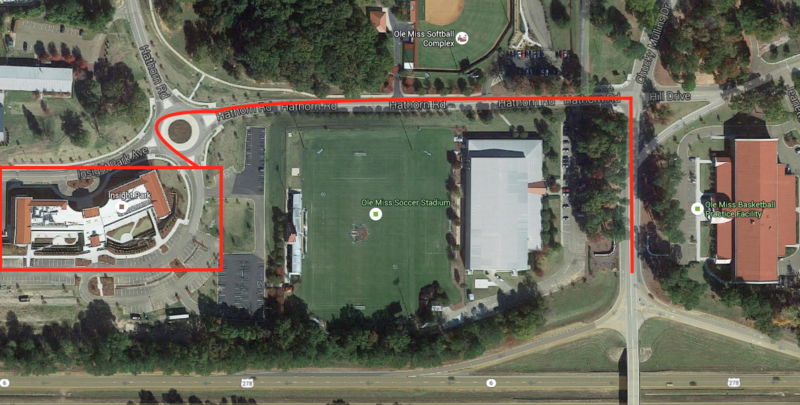 Continue through it and take the third exit out (adjacent the soccer field) to the back of the building. – The first sidewalk bridge leads directly to the NMEC suite. Once you enter the building, turn right. Suite 253C is the last room on the left; look for the blue U of M School of Education mat. – Turn left to crossover the bridge. MDE has contracted with Cambium Education to deliver the Language Essentials for Teachers of Readin..